You are not logged in. [Log In] Mt Whitney Zone » Forums » » General Discussion » Mt Shasta for late May or early June? #52905 - 04/16/18 08:53 PM Mt Shasta for late May or early June? So I've been meaning to tackle Shasta and understand that doing it while there is still snow helps in the assent. I'm probably going to do the Avalanche Gulch route. So is late May or early June too early for Shasta? Is a ice axe needed that early in the season? Any other advice about doing Shasta? Alternately, I was thinking of doing the Tahoe desolation wilderness around that time, but again am worried that there would still be too much snow. Mostly following the PCT from the south. For Shasta, the prime time is mid-May to early July. You want the snow/ice to climb on. When it melts, the cobbly talus is awful to try to walk over. I went one year in August--never again! And by all means, you need an ice axe and crampons. You want to be climbing in the early morning while the snow surface is icy, and so crampons are just the ticket. Coming back down in the afternoon, conditions can be softer, and glissading is a nice way to go. How steep do you hike on Mt Shasta? Is the degree of the angle of the slope much steeper in comparison to the snow chute at Mt Whitney (when switchbacks are closed)? I think the slopes are pretty similar. Big difference, though is that Whitney's is north-facing, Shasta is south-facing. So on Shasta it is more consolidated and icy. I recall crampons sticking, but not even sinking teeth all the way in on Shasta. On Whitney, people are following others' tracks so they don't have to break trail in softer snow. I believe its about 35-40 degrees at the steepest part at the red banks. I'm pretty certain there is going to be a nice boot track all the way up. (assuming avy gulch route?) It ends up being like walking up a steep staircase. At least that's how its been the past couple times i went up that route. May- June is prime time so there will be a gang load of people going up the same way. thanks Steve.. WillieTheDog for inputs. Yeah, planning on attempting Shasta in the next month or so...via Avalanche Gulch. Not sure what to expect. Did a solo day trip last year and summited Whitney July via the chute and was just wondering how Shasta in comparison. The chute wasn't too bad last year. 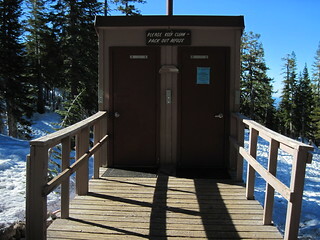 Given that there is no real trail on Shasta, not too sure what to expect. Easy to follow though even though no real trail? The lower part from Bunny Flat has a trail -- up to Helen Lk. You will find a mob camped there. From there up, no trail required; it is wide open. Just climb--like everybody else. I asked a snow ranger one evening when camped at Helen Lake when was the best time to climb Shasta. He said - on average - about Memorial Day. He went on to say the busiest weekend was the 4th of July. I agree that Memorial Day is about right – on average. But I’ve seen terrible weather in June. And I once reached the summit wearing no hat or gloves and had to stop at 12,000’ on the way down Casaval Ridge to remove my long johns – in February. Are there any good acclimatization hikes in the area? Or good camping spots at altitude? When I climb avy gulch I make base camp at Horse camp. Plenty of flat areas, running fresh spring water (basically crystal geyser lol), pit toilets... its at 8k so not too high but can’t beat the accommodations. - We did Mountaineer's Route as a 1 day option, and found that enjoyable for us. Any thoughts on a similar plan for Shasta? I sure like light loads, and avoiding a tent/sleeping bag when possible! If you’ve done the MR in a day, you should be strong enough to do Shasta in a day. If you’ve done Raineer, you should be technically ready for Shasta. I recommend climbing up Casaval Ridge. The normal route goes left of the crest of the ridge, avoiding lots of crappy rock. You should have plenty of tracks to follow. You can descend either Casaval or Avalanche Gulch or even Sargents/Greene Butte. Be aware that route finding can be tricky on the ridges, and weather can make navigation difficult on Shasta. Is there a good site with current conditions on Shasta? (something like the WhitneyZone) I haven't found anything good yet. I'm just wondering how much of my winter gear I'll have to pull out of my closet (I thought I was done with it after a Yosemite trip at the end of March). Minor correction there, Willy Dog. 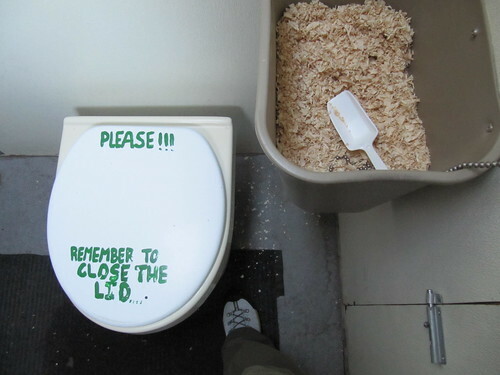 The toilets at Shasta Horse Camp are nice composting toilets, not pit toilets. They're typically very clean and function really well without the smell of a pit toilet - better than your average Forest Service campground vault toilet. The spring water there is also amazing. So Horse Camp is a great first night for those who have time to acclimate and enjoy the accommodations before having to poop in a wag bag and melt snow, especially for a weekend warrior from sea level. If you really want to maximize your odds and enjoy your hike, spend one relaxing night at Horse Camp, then pack up to Helen Lake and practice your self-arrest skills on the surrounding slopes - perfect place for that. Get an alpine start the next morning and join the pre-dawn parade up avy gulch. The sun rises on the other side of Shasta, which produces a really cool shadow looking east when you turn around and enjoy it. Makes me forget the pain and want to go again. You can always rely on SierraNevada for the straight poop. Not sure what the snow conditions are like over the next couple weeks, but assume pretty good coverage. The steepness resembles the chute on the Whitney main trail, but Shasta is longer and more sustained. There may or may not be a bootpack. 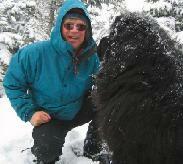 There was none when I did it, but the snow was in good condition and my crampons bit well. There were a couple people who tried climbing it in microspikes and one with no crampons, none of them got very far up after the campsites. Depending on the direction you take up, the steeper parts are at the Red banks and above. Note also in my photos, the errant rocks all over the place, there is a lot of rockfall there, so bring a helmet, but more importantly, pay attention and listen for anything coming down (ie don't climb in headphones). Shasta was an awesome climb, but it is a lot of gain in one day. Below is my report when I climbed it in July a few years back. I made it to Helen Lake after a very exhausting slog, but the next day a very strong wind (a bitterly cold wind) was blasting down on the tents at Helen Lake. I decided that there was no chance for me to get to the summit with that strong of a wind. I was probably right. The reports I heard from people who came down that were that the wind was too strong once they hit the ridge line. It doesn't seem like anyone was able to summit that day (but that was based on only a small number of comments from other climbers). Despite having planned for an extra night at Helen Lake if needed to try for a second summit attempt, I just couldn't convince my body or mind to stay another day up there. I regretted that the next day, but it was too late then. Maybe next year with a little more planning and mental preparation for the climb i can go all the way to the top. It was a fairly last minute decision to go up this year, even if Shasta has been on my list since before Whitney was. Generated in 0.182 seconds in which 0.165 seconds were spent on a total of 15 queries. Zlib compression disabled.